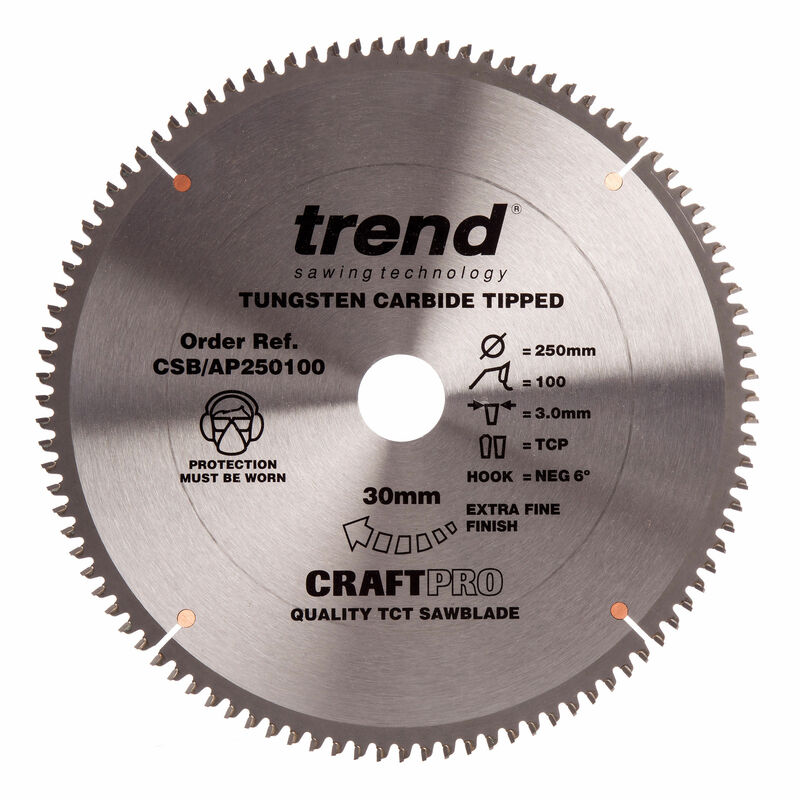 This sawblade is intended to be used in a portable or stationary sawing machine. 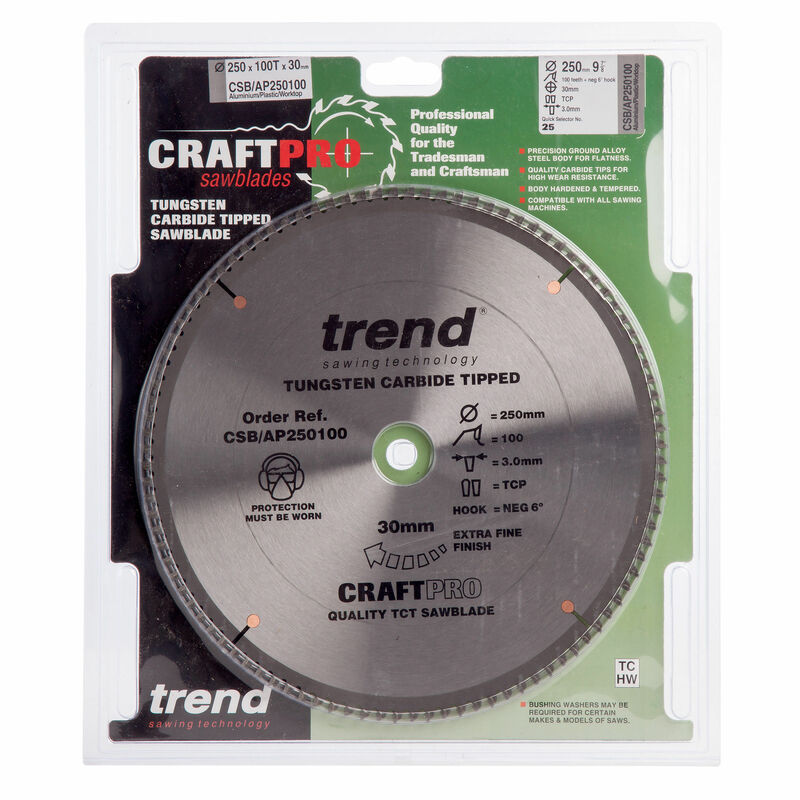 CraftPro Tungsten Carbide Tipped. 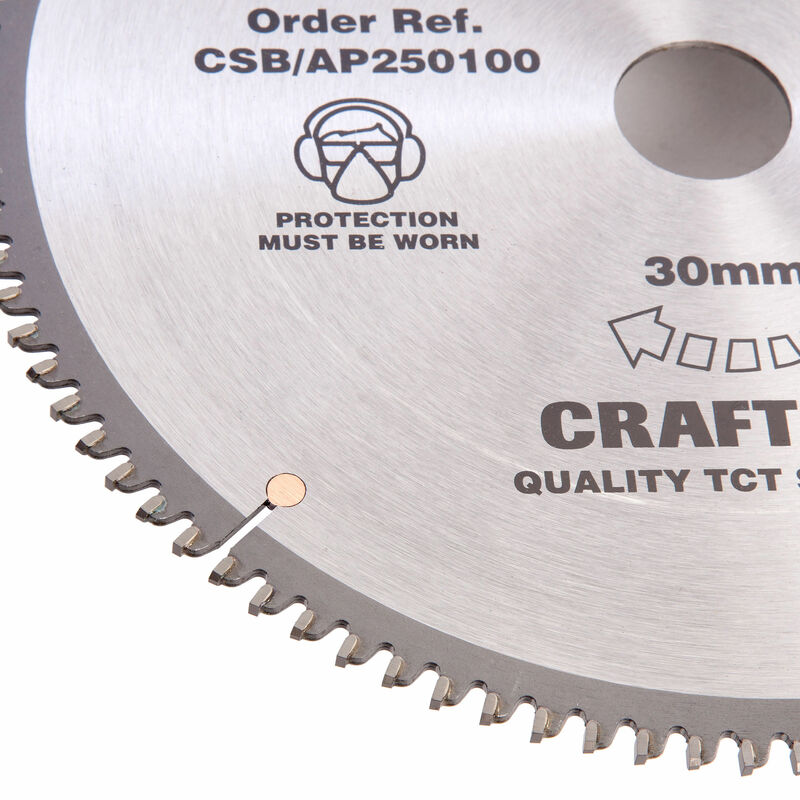 Aluminium / Plastic / Worktop Sawblades are designed for cutting softwood, hardwood, particle boards, plywood veneered on both sides and particle boards with plastic laminate on one side. More teeth are preferred for cutting across the grain of hard and softwood, aluminium and plastics. Finer finish with a slower feed rate. Compatible with all sawing machines though bushing washers may be required for some models. Features quality carbide tips for high wear resistance. With a reamed bore to ensure precise fit to spindle.